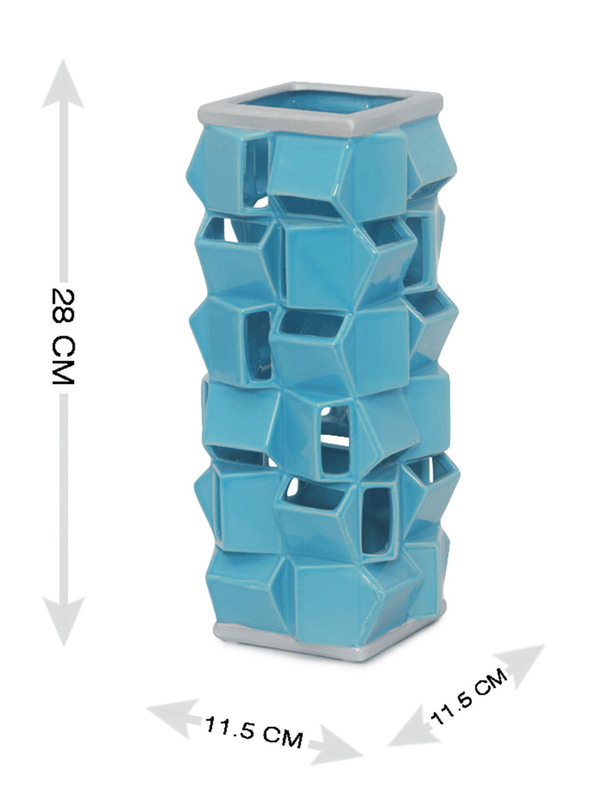 Zig-zag your way through a day of blooming floral freshness with Azure Aura Geometric Cut Large Vase! Sleek and sculptural, this turquoise-coloured ceramic vase brings in an edgy style to any spacious surface; be it your home or office desk. Perfect as a housewarming gift too, this sophisticated vessel brings an instant character and style in your guests’ lives. A decorative masterpiece to own, style it with some tulips or any artificial floral to bring out the sunny vibes around.